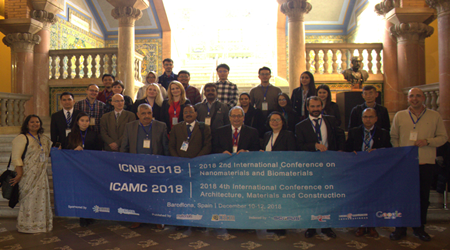 The 3rd International Conference on Nanomaterials and Biomaterials (ICNB 2019) will be held in University of Lisbon, Lisbon, Portugal during December 2-4, 2019. Over the past decade, nanomaterials have been the subject of enormous interest. These materials, notable for their extremely small feature size, have the potential for wide-ranging industrial, biomedical, and electronic applications. As a result of recent improvement in technologies to see and manipulate these materials, the nanomaterials field has seen a huge increase in funding from private enterprises and government, and academic researchers within the field have formed many partnerships. The variety of nanomaterials is great, and their range of properties and possible applications appear to be enormous. It is clear that researchers are merely on the threshold of understanding and development, and that a great deal of fundamental work remains to be done. Biomaterials have been a growing field of interest for over half a century, spanning industries as diverse as medicine, biology, chemistry, materials science and through to engineering. Biomaterials can be used for clinical purposes, drug discovery, or to further understand tissue and organ development. Another area of concern is the biomaterial polymers market as there is a need for more research and development into biodegradable and bio-compatible polymers. One of the many fascinating areas, where biomaterials can be applied is in new dental materials and diagnostic tools. Bioengineering, another prominent area of research, not only includes biomaterials but also biomechanics. It has also been gathering momentum with research encompassing the fields of biomechanics of the hand and wrist , gait analysis and orthopaedics. All submissions will be peer reviewed by 2-3 reviewers. 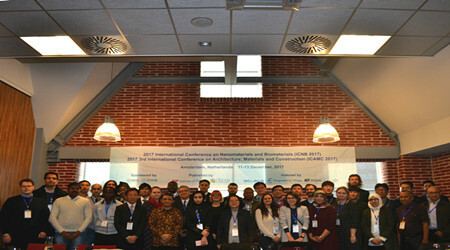 The registered and presented papers will be published into Conference Proceedings, which is indexed by Ei Compendex, Scopus. 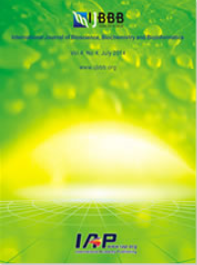 International Journal of Bioscience, Biochemistry and Bioinformatics (IJBBB, ISSN: 2010-3638), which can be included in and indexed by Electronic Journals Library, Chemical Abstracts Services (CAS), Engineering & Technology Digital Library, Google Scholar, and ProQuest. Distinguished experts are welcome to join the international review boards of ICNB and serve as a scientific committee member, Please send you CV to icnb@cbees.net.